Known for his stylish filmmaking, Gautham Menon has secretly started shooting for a web series based on the life of Tamil Nadu’s former Chief Minister and yesteryear ‘Lady Superstar’ of Tamil cinema J Jayalalithaa. This yet-untitled web series is being produced by Times of India’s soon to be launched OTT. “The shoot for the first season is currently progressing in AVM Studios, Chennai. 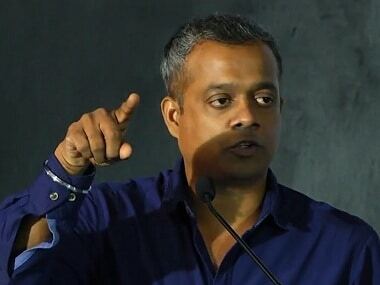 Gautham Menon is planning to shoot it as three season web series and as a first step, he is planning to shoot ten episodes for the first season. Reshma and Venkat, two close associates of Gautham, are spearheading the production. Once the episodes wrap, they will be delivering it to the original producers”, says a source close to the unit. After much discussion, Gautham Menon roped in Ramya Krishnan to play Jayalalithaa. “The entire unit felt that the Baahubali tag of Ramya Krishnan will help the team to grab the attention of audiences in Tamil, Telugu, Malayalam, and Hindi. Ramya Krishnan has already started shooting for the web series on huge sets erected in AVM Studios”, added the source. Popular Malayalam actor Indrajith, elder brother of Prithviraj is essaying the role of Jayalalithaa’s mentor and Tamil cinema’s most celebrated Superstar MG Ramachandran. Actor Vamsi plays Telugu actor Shoban Babu with whom Jayalalithaa had a good rapport. It has been revealed that Gautham Menon plans to cover the life story of Jayalalithaa through thirty episodes. “Based on the reception of the first season, the consecutive seasons will be planned. So far, many Tamil web series were criticized for the below par production values but Gautham clearly told his producers that he will not compromise with the quality. Gautham also got several unknown stories on Jayalalithaa through her close friends and associates”, says a source close to the director. Buzz is that the Jayalalithaa biopic which is being produced is the second costliest web series produced in India after Sacred Games. The source also told us that Gautham initially had plans to direct the biopic as a film but due to censor restrictions, the director preferred the web series space. “Gautham always had the interest in venturing into web space. He produced a chat show like Karan Johar on his YouTube channel Ondraga Entertainment and the two independent music videos he directed were also big hits. Gautham strongly believes that internet is the future and he will also soon direct more web series in coming years”, says our source. Besides Gautham’s version, director Vijay and debutant Priyadhaarshini are also working on two feature films based on the life story Jayalalithaa. Nithya Menen has been roped in to play Jayalalithaa in Priyadhaarshini’s film which is titled as The Iron Lady and the first look was launched on the politician’s second death anniversary (5 December). Director Vijay’s biopic is being bankrolled by Brinda Prasad's Vibri Media, one of the producers of NTR biopic and Ranveer Singh -Kabir Khan's 83 (based on India's 1983 world cup victory). Popular Tamil Nadu politician TTV Dhinakaran, nephew of Jayalalithaa’s close associate Sasikala is also planning to produce a biopic on the former Chief Minister. Dhinakaran’s nephew Jeyananth Dhivakaran recently announced on Facebook that Lingusamy is working on a script with authentic information on Jayalalithaa for a biopic. Reports suggest that Lingusamy wants Nayanthara to play Jayalalithaa and he will be approaching the actress after completing the script work. Though many filmmakers are working on their own versions of Jayalalithaa biopic, going by the progress, it looks like Gautham Menon’s web series will be launched and released first as there is no censor restriction. Moreover, being a web series, the makers have the first mover advantage of releasing one episode each week.